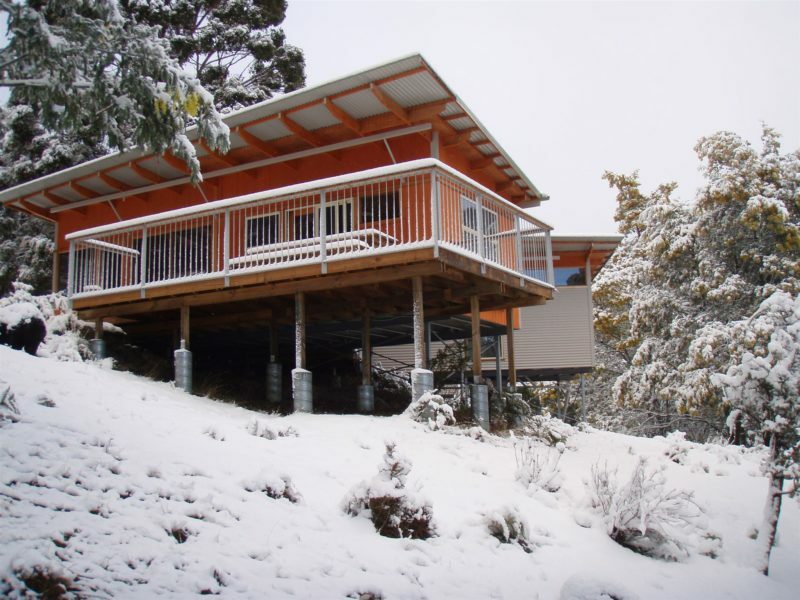 BCT is a rural retreat in a quiet, secluded and peaceful bush valley. 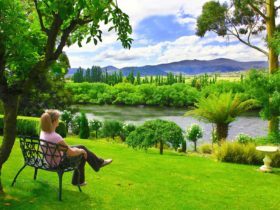 Located in Glenfern high above New Norfolk in the Derwent Valley, less than sixty minutes from Hobart, this architect-designed facility is the ideal getaway if you’re seeking a sublimely peaceful place to relax and unwind. Accommodation choices range from our self-contained cabin (for up to six guests) with private facilities, a clean and cosy dormitory (for up to ten guests) with rucksack storage, to our campsites. All guests have access to the communal facilities including free laundry and barbecue, and all facilities are designed to minimise their environmental impact using natural materials, recyclable waste systems, energy efficient power and a natural water supply. Discover a variety of unique Tasmanian animals, birdlife and flora on our 41 hectares, or take an easy drive to some of Tasmania’s World Heritage wilderness areas and National Parks close by. Fish for trout in the Plenty and Derwent Rivers; visit the Salmon Ponds; marvel at the forest giants in the Styx Valley; explore the Port Arthur penal settlement; sample some of the excellent wines of the Coal River Valley; or join us for a guided bushwalking tour with Tasmanian Wilderness Experiences. Our Family Cabin consists of two bedrooms (one queen and four roomy bunks) separated by a kitchen/lounge with private facilities (shower/bathroom and toilet). 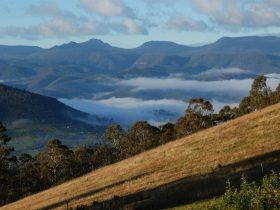 The tariff includes use of a barbecue on the sheltered deck overlooking Mt Lloyd (933 metres) and guests can explore our 41 hectares of Conservation Covenanted regenerating bush (listed in 2013 with the Wildlife Land Trust) or observe and help us feed our plentiful wildlife. All our guests have access to the communal facilities comprising kitchen and common room, toilets and showers, free laundry facilities and free barbecue facilities. All facilities are designed to minimise their environmental impact, using natural materials, recyclable waste systems, energy efficient power, and a natural water supply. Our clean and cosy Dormitory/Bunkhouse contains ten roomy bunks with rucksack storage. 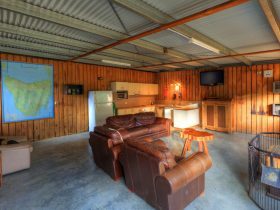 Associated facilities include an amenities block with showers, toilets and a laundry, and a kitchen cabin/common room with all cooking facilities (including a free barbecue on our spacious deck overlooking Mt Lloyd (933 metres) and Glenfern Valley. All bedding (pillows, doonas, sheets) and towels are included in the tariff. 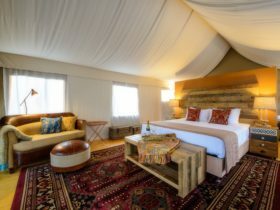 There is room to pitch ten two-person tents, or park several campervans on our grounds. The tariff includes use of our kitchen cabin/common room, free laundry and our amenities block. Power is available.